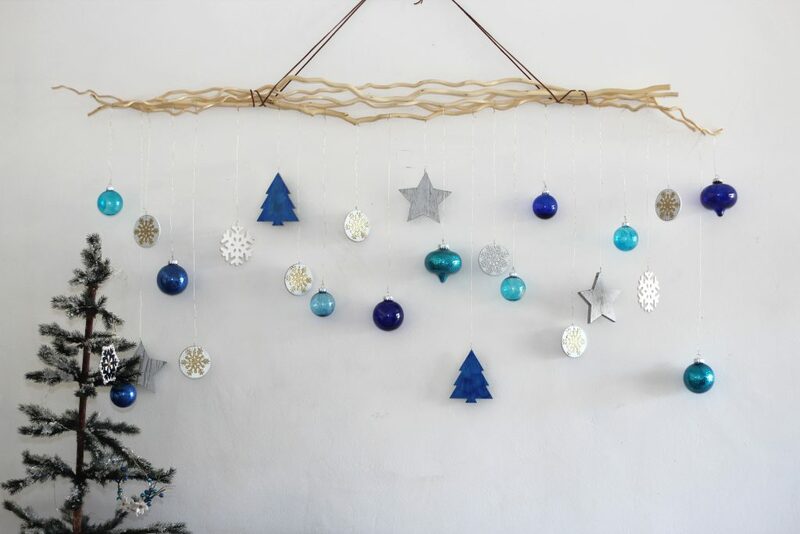 Make your own hanging branch ornament display! Day 3 of the 12 Days of Christmas Blog Hop is all about Christmas countdown calendars. I thought about making something for the kiddos, but honestly, I really wanted something for myself. The kids have already picked out their Advent calendars filled with delicious European Chocolate and they have the Elf on the Shelf who likes to bring silly gifts and do stupid Elf tricks. So I got out a couple of branches I had bought at Ikea a few years ago and never did anything with. (Torka – although these look different, maybe better?) I also got out a spool of leather lace, although ribbon or wire would work too. To hang the branches, I divided them in half and flipped one have so that the part of the branch that was cut could be hidden (kind of) underneath. Then I cut two long, equal lengths of leather lace. 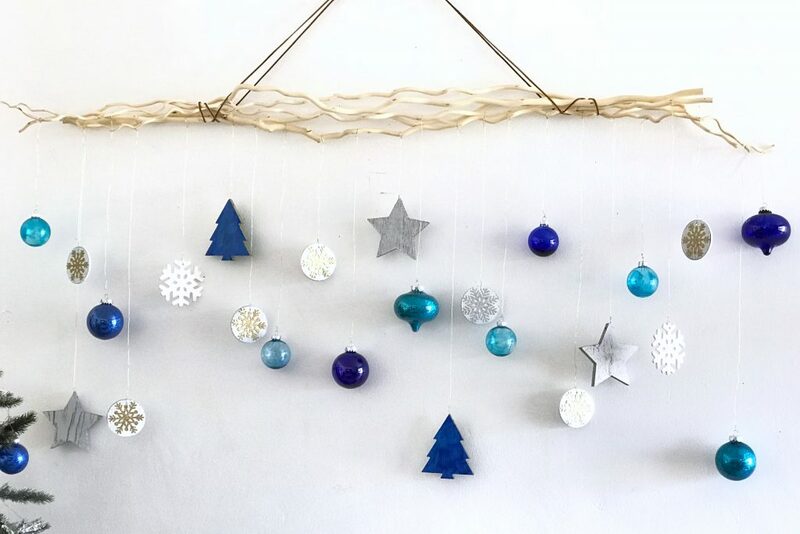 I wrapped the lacing around the branches three times on each end and tied it in the middle to hang on the wall. 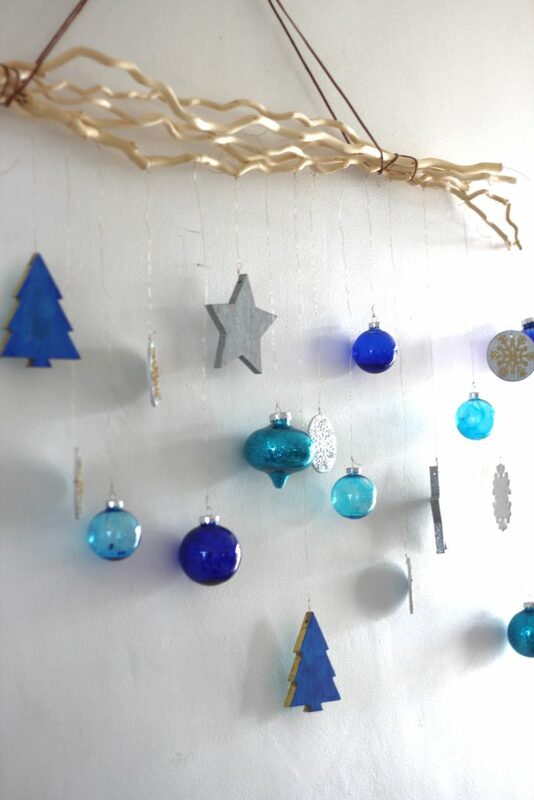 I collected 24 ornaments in coordinating colors, turquoise, indigo, silver, gold and white and hung them up at varying lengths with gold wire. To make it a countdown calendar, set up a basket full of the 24 ornaments, and add one each day starting on December 1st! 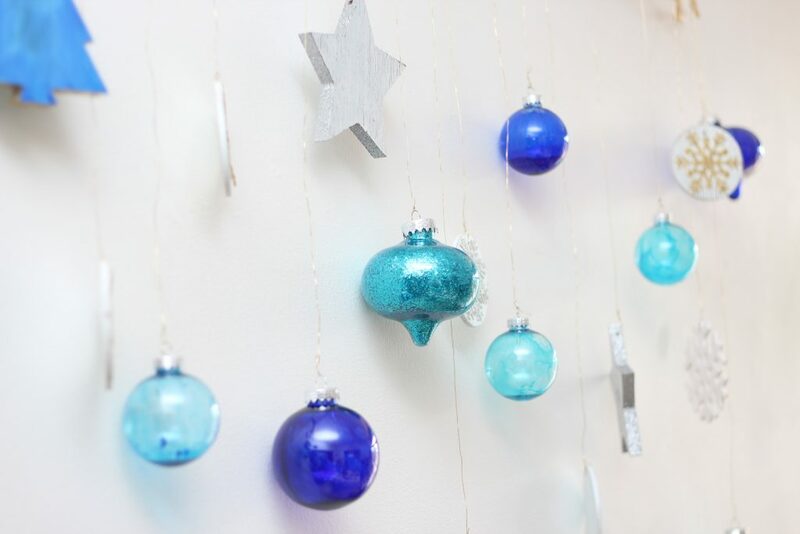 To see my tutorial on how to glitter clear ornaments CLICK HERE. 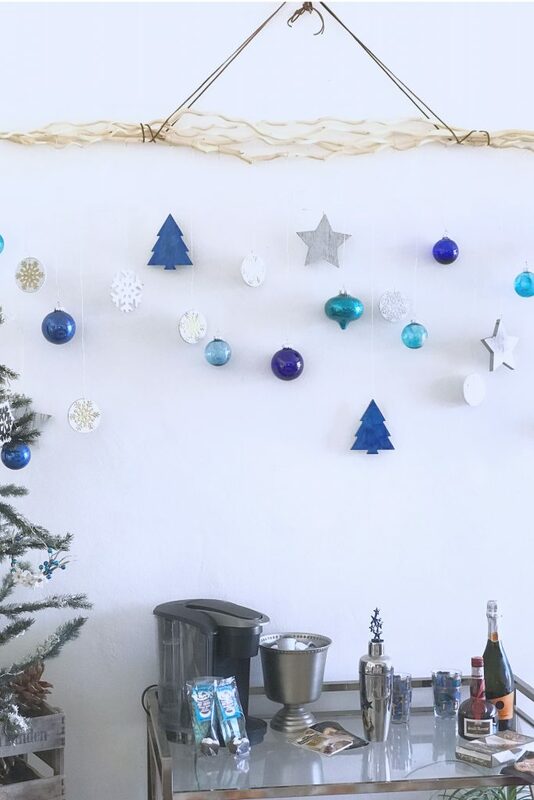 It’s a pretty and fun new tradition…just for me! I love my 24 Ornaments Til Christmas Countdown Calendar! Check out the other posts in the 12 Days of Christmas Series! This is so pretty! Love the color combination. Yes grown ups need countdowns too! Yay, an adult countdown calendar an what a pretty one it is! Love this unique idea. Love this! Thanks for sharing with us at the To Grandma’s house we go link party, see you next week! This would look awesome hanging in a window too!